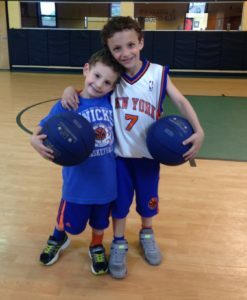 Our Basketball program was designed to engage children ages 4+ in a structured, safe and positive setting. Each clinic is geared toward a specific age. All the participants in these clinics are key pillars to the success of the program. We make sure every participant is given a place to find individual and team success. Consistent parent/director communication allows this program to make each family and child feel extra special. Teamwork makes the dream work. 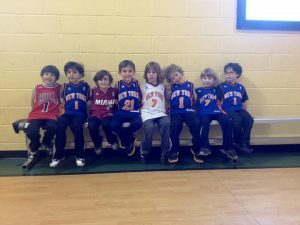 Our Kindergarten basketball clinic is instructed in a small & positive setting. The clinic meets for 60 minutes and allows us to lead various drills. Class covers defense, dribbling with both hands, proper footwork, lay ups, passing and team work. The small setting enables our coaches to focus on each child throughout the class period! Perfect for the beginner or future NBA player. Clinic always concludes with a game! Our 1st/2nd grade program focus on skill development and team play. 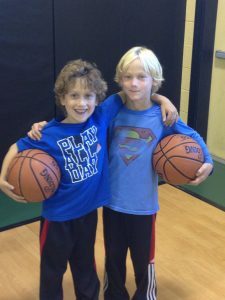 Each clinic meets 60 minutes and allows children to strengthen their basketball skills. Clinic covers defense, dribbling with both hands, proper footwork, lay ups, passing and team work. The small setting enables our coaches to focus on each child throughout the class period. Perfect for the beginner or future NBA player. Our 3rd/4th grade program focus on skill development and team play. Each clinic meets 60 minutes and allows children to strengthen their basketball skills. Clinic covers defense, dribbling with both hands, proper footwork, lay ups, passing and team work. The small setting enables our coaches to focus on each child throughout the class period. 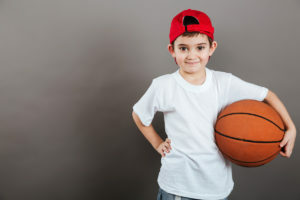 Perfect for the beginner or future NBA player. We offer paid trial classes. These can be scheduled 72 hours in advance..